Five years ago, we posted a blog on our UK site announcing a start up Flirtey were beginning a commercial book drone delivery service. Flirtey is a US company who chose Australia as at the time we had some of the most modern rules on unmanned aerial vehicles (UAV). Flirtey are still going offering delivery services, in the US with 7-eleven and in New Zealand with Dominoes. Five years on and we’re still a little away from seeing the skies full of UAV’s delivering everything from pizza to prescriptions, however we’re getting closer everyday. As we posted on linkedin the other day Google has just launched Project wing in Australia. Trialing in Canberra its currently open to a limited number of houses offering speedy delivery of food and convenience items dropping them straight into the back yard. 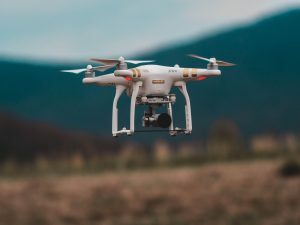 Drone delivery is cited as reducing costs, alleviating traffic and eliminating carbon emissions from vehicles used for the same jobs. Its only limited currently by improvements in technology and the size of deliveries. However this may change, as reported by ABC the Ehang 184 made its maiden flight in China big enough to carry a person so its not outlandish that in the future all groceries could be delivered to the back yard. Although we might still be a couple of years away from true nationwide drone delivery a worthy mention is Zipline who have already created a nationwide drone delivery system in Rwanda. This service is for medical professionals allowing drugs and blood supplies to be moved around the country where there is limited infrastructure and saves lives. Well done Zipline. Delivery Quote Compare AU don’t have any drone transporters, yet. But in the meantime we can help you save time and money for you transport needs. Visit our home page to easily list whatever you need moving.